Making your credit payments on time is one of the biggest contributing factors to your credit scores. Payment history holds the most weight when it comes to your FICO score. It accounts for 35 percent of your FICO score. A poor payment history means you are unlikely to get the best interest rates and optimal terms when you apply for credit. To get the maximum score points concentrate on improving the payment history category. A good payment history on most of your credit accounts will help increase your scores. Payment history gives lenders an idea of how you repay credit obligations. Lenders take on a level of risk when credit is extended. They want to know if you will pay them back. But payment history includes many smaller components that make-up your FICO score. Any hiccups — late payments, missed payments, charge-offs, delinquencies, bankruptcies, collections or defaults — can derail your FICO score up to 10 years. According to FICO, a payment that is 30 days late can cost someone with a credit score of 780 or higher anywhere from 90 to 110 points. That’s because a recent late payment is more damaging to your score than a number of late payments that occurred in the past. FICO scoring looks at how recent the late payments are, how severe the late payments are, and how frequently the late payments occur. Declaring bankruptcy could lower a credit score of 780 by as much as 240 points. 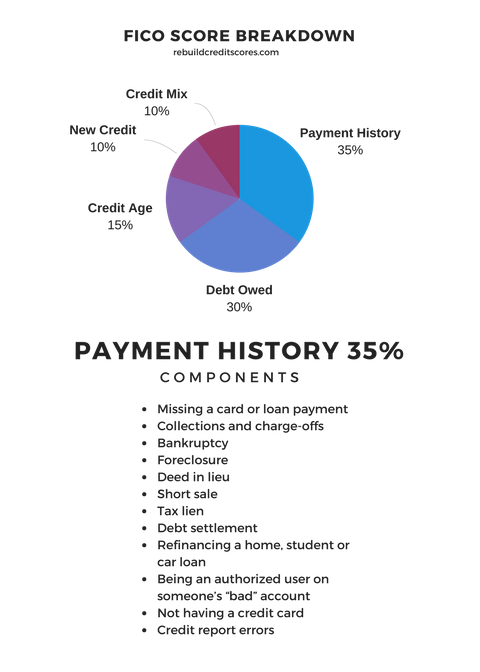 Because the FICO scoring model gives the most weight to payment history a bankruptcy is included in the payment history category. Ironically, the higher your credit score, the greater point loss. People with lower scores already reflect past credit problems so mishaps impacts their scores less. 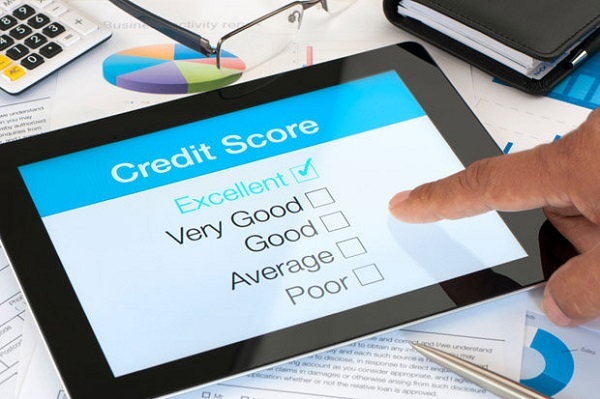 It’s vital to your credit score to avoid a charge-off. Creditors report late payments in one of these categories: 30-days late, 60-days late, 90-days late, 120-days late, 150-days late. Creditors will typically charge-off an account once it to the 180-days late category. The account is written off due to severe delinquency. It’s difficult to recover from a charge-off but you can recover from a late payment. If there is some way you can get current to avoid a charge-off, DO IT! Consider an easy to qualify for personal loan to consolidate credit card bills. Charge-offs can lead to collection accounts. When this occurs, your credit score not only suffers from the charge-off; but also the collection account related to the charge-off. If the charge-off account is transferred or sold to a collection agency, the collection agency will put a negative mark on your credit reports too. All these components stem from payment history. As you can see, it’s important to always stay on top of all your bills. 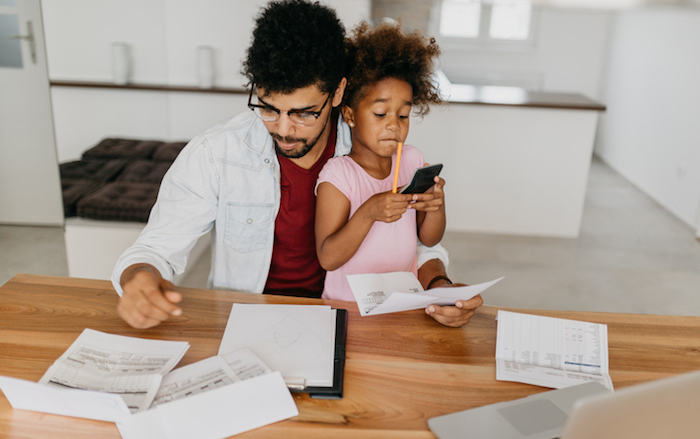 Late payments hurt your score, but you can get current by paying them off but you can’t bring the account current once it’s turned over to a collection agency. Having late payments on your credit reports makes it harder to qualify for loans – personal, business or a mortgage. If you are approved, you’re less likely to qualify for the lowest interest rates. If you do have missed or late payments on your credit report, that will lower your credit score and be a mark against you. Always pay your bills on time to reflect a “paid as agreed” status. Avoid prior late payments, if you have any try a goodwill letter to get them removed. Always make the minimum payment due. Avoid collection accounts, bankruptcies and public records. Setup payment reminders and enroll in automatic payments. A few late payments are not an automatic “score-killer.” An overall good credit history can outweigh one or two instances of late credit card payments even though the late payment occurrence can stay on your credit reports for seven years. 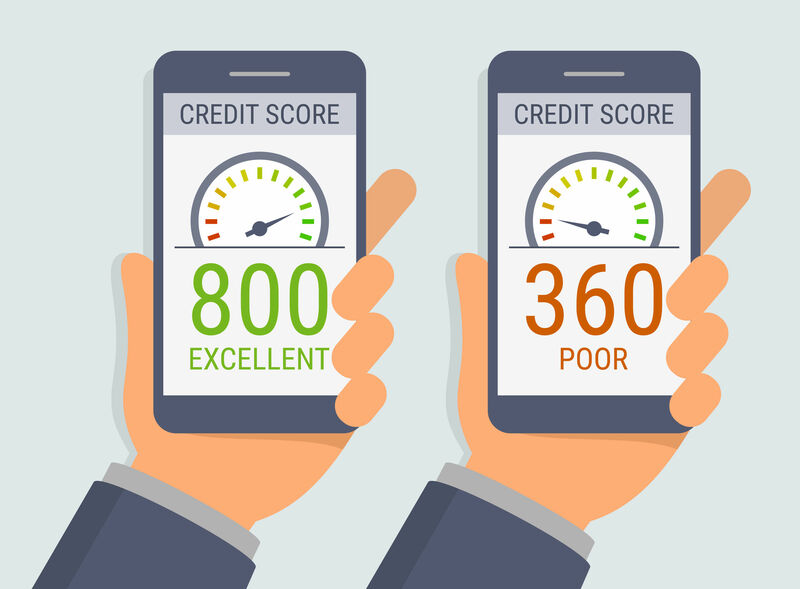 To recover your score as quickly as possible, your overall credit profile must reflect on-time payments in addition to getting the late paid account back in good standing and resume making on-time payments. The bottom line, always making payments on time is the key to maximizing score points in the payment history category. By paying credit obligations on-time, you ensure lenders see you as a safe person to loan money to.